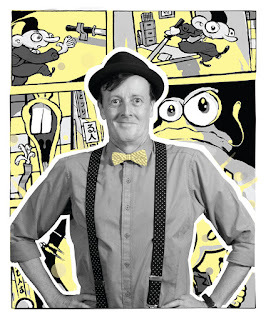 Rob Feldman is an Australian cartoonist and comic artist specialising in a wide range of styles and formats from single panel to quirky narrative comic strips and beyond. Describe your journey as an artist/creator – especially in regard to making comics? I have been drawing comics, cartoons , drawings for as long as I can remember. I clearly can't remember very far. Though I have done newspaper , magazine , and commission work in the past, my very favourite work is where it's my baby from conception to realisation and this means doing both the writing and the drawing . ( Who said 'Control Freak?' 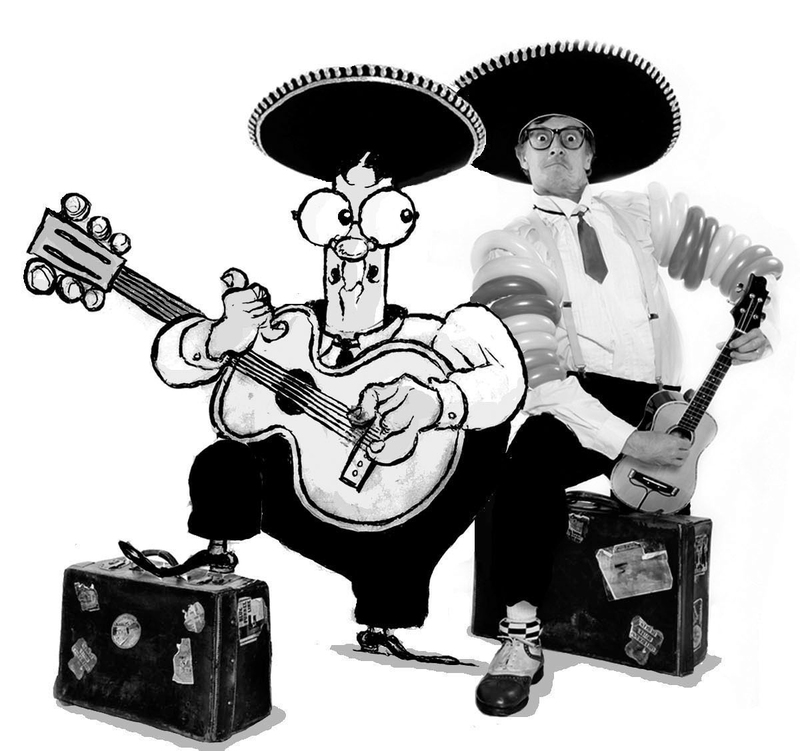 ) I contributed a weekly cartoon / comic page for a regional ( overseas ) newspaper / magazine back in the day. I had a few stories running at the same time, and I didn't know week to week where each story was going. That experience does inform my methods - if you can call them methods , I don't storyboard, write scripts per se. It is quite a random ' sock-drawer' approach to comic making. 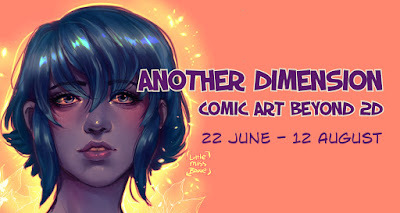 With the sequential comics I've done, I've gotten my characters and settings, then off I go meandering off in some general direction , with countless side-tracks and additions along the way. DO NOT USE THIS METHOD IN YOUR COMIC CREATIONS. I mean, you can if you want to. What it lacks in orderliness it makes up for in enthusiasm. 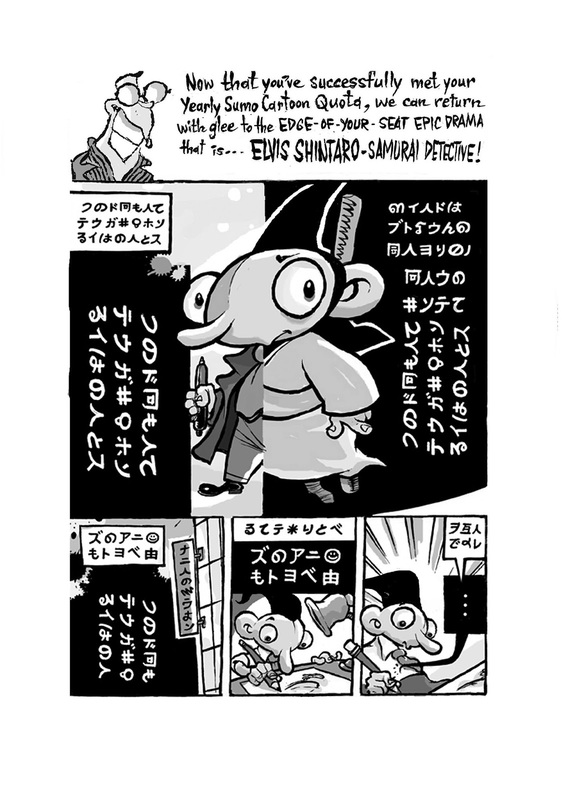 Can you tell us how your comic character Elvis Shintaro samurai detective, came into being? 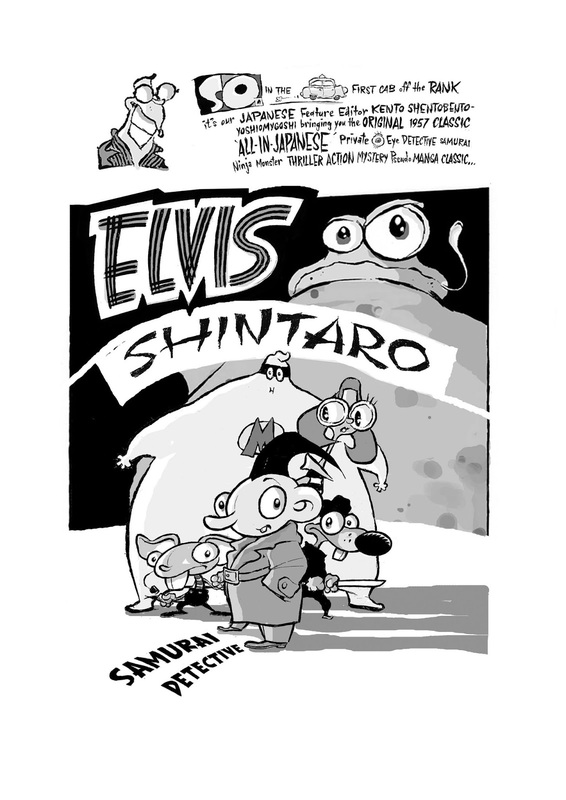 I did the whole 8 pages of Elvis Shintaro as a nod to wonderful Japanese pop culture and specifically their astonishingly astonishing comics. It's a spoof-ish nod to them, and I basically took actual Japanese letters and mixed them up in complete meaninglessness. It was fun, as the non-Japanese reader ( of whom I am one ) can follow the pictures but PRETEND we're reading Japanese. Elvis Shintaro was done as a pilot comic sample. 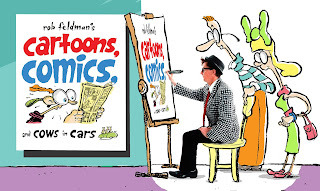 Cartoons, Comics and Cows in Cars isn't technically a Graphic Novel , as much as a collection of many of my disconnected, random and diverse comics and cartoons brought together in the one book by the use of surreal segues. This all thanks to the inimitable ( so don't even try to imitate him ) Nat Karmichael of Comicoz who gave me carte blanche ( French for 'a blank carte' ) to do whatever I wanted to in the book. 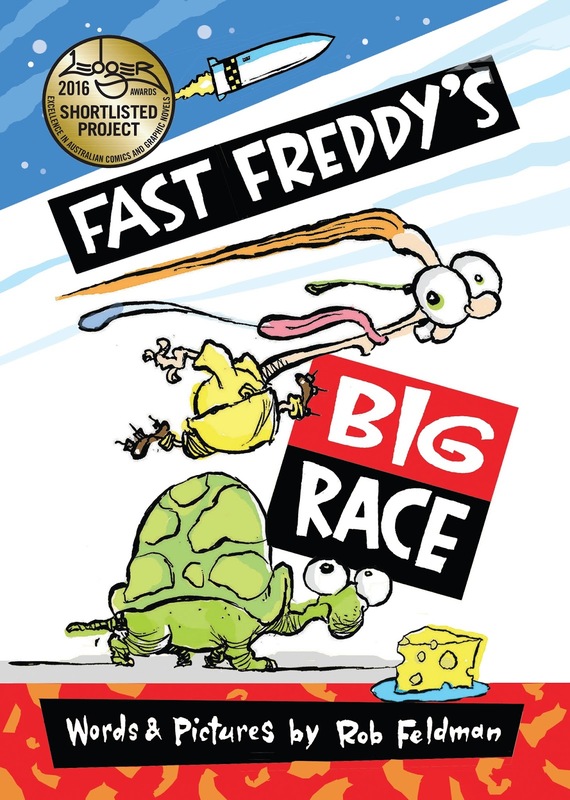 I've just finished a kids' book /comic / story called , appropriately, Fast Freddy's Big Race. I say 'appropriately ' as the comic / book is actually about Fast Freddy who goes in a Big Race. Next will be the sequel to Fast Freddy's Big Race OR another book / comic possibly entitled Buster Kaboo and the something something ( still working on the title ) Can't wait. But must. 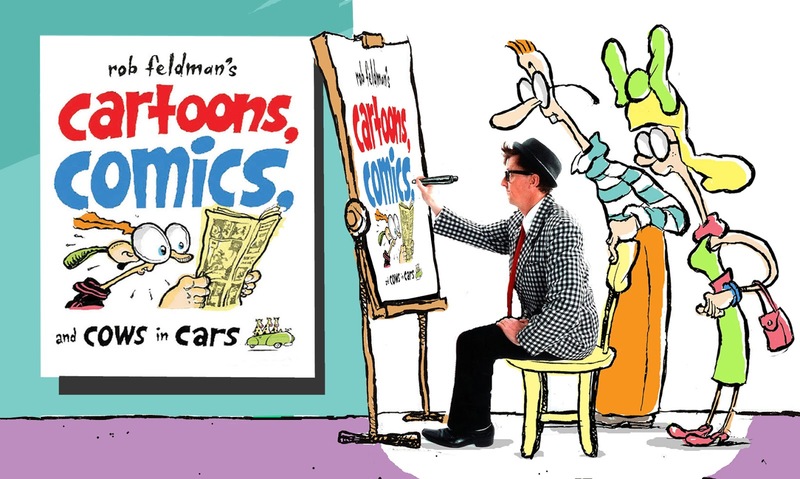 Find out more about Rob Feldman at his website and on Facebook!